Playing with another stamp from my new set. I colored with copics and the paper is from a new DCWV paper pad. I added a little button from My Minds Eye. 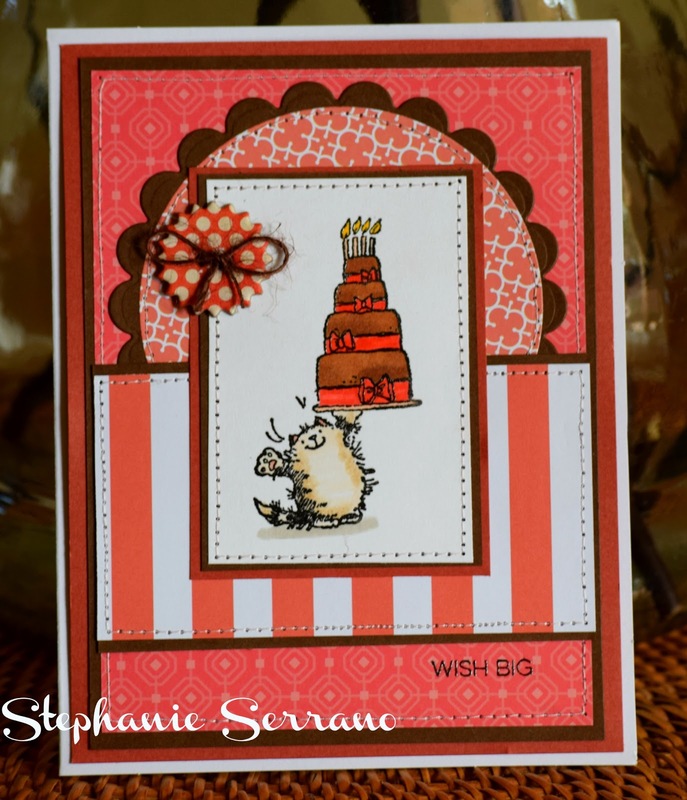 Stephanie, love the bright coral color. Looks like you are having too much fun with some new stamps. Perfectly put together, love the stitching and that fun button! haha, cute! hedgie graduated to balancing a cake! thank you so much for playing along with us again at the penny black and more challenge. A lovely creation for our 'Something New' theme at Penny Black and More challenge, many thanks for joining in.